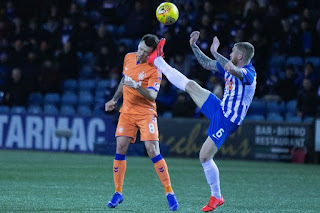 Steven Gerrard and Scott Arfield have expressed a dramatic difference of opinion over Kilmarnock midfielder Alan Power’s ‘challenge’ on Ryan Jack, after the Rangers engine room man defended the tackle while his manager implied he expects disciplinary action upon it. "I'll be interested to see if there's a citing. I don't know who points the citings out, but I'll be interested to see what happens." It’s certainly a colourful contrary pair of views, but we can’t help being reminded of Liverpool striker Sadio Mane’s infamous high boot on Ederson which earned him a red for Liverpool v Man City in 2017 – that decision caused fierce debate with some saying it was too harsh and others saying it was justified. For what it is worth, Ibrox Noise are pretty clear on it – as far as we know, the rules say that a reckless tackle without intent, or intent alone to endanger an opponent are enough to justify a red card. In other words, if you went in honestly, but recklessly, and badly hurt your opponent, or you intended to hurt them whether you succeeded or not, both qualify as a red card. And Power’s was most definitely the former and possibly the latter. Either way, we highly doubt anything will come of it because, well, it’s not a Rangers player is it? It a red, but there was no celtic media frenzy shouting for Powers to be punished! Arfield should get with the programme. Does he think other teams would support him if he kicked their face in such a manner. They would be demanding compliance to look at it to get him banned! If McGregor is going to get banned, then Powers should follow suit. But as the compliance system is ran by Celtic SFA, I won't hold my breath!! My question is, why is the Rangers Board not coming out with a statement of our own highlighting the SFA is ran by the manky mob?! It doesn't look intentional and malicious, to me. Because his eyes in that pic, are not even on Ryan. But that's just from what I can see, in that pic. No punishment - Rumour doing rounds that SFA Compliance Officer , Clare Whyte is a season ticket holder st Parkhead. Double standards by the sfa as per usual power escapes punishment as we all expected the Sfa are not fit for purpose they punish some and let others off they pick on the clubs they dislike and we have given them enough amo to keep punishing us which amounts to double standards in my eyes . Well you got your answer. Power has no further case to answer unbelievably on the grounds that there was "insufficient evidence". There may have been a few good reasons why the card wasn't updated to a red but that was never in a million years expected to be one of them. What a joke!!! If McGregor gets punished tomorrow then the club should be asking serious questions of the SFA and call for the resignation of the Compliance Officer. The rules clearly state that the Compliance Officer can only intervene when the referee has not seen the incident or a significant part of the incident. It is not their job to re-referee the match or specific incidents. Apart from anything else who is she, and what refereeing experience does she have, to reach these conclusions contradicting experienced match officials. This also applies to the Hibs player who was booked against Ceptic last week and had his card uplifted to a red. This is also the opinion of the Compliance Officer for the English leagues. Meanwhile Brown, Siminovic and Burke all get off scot free for misdemeanours in the Hibs match that other players have been punished for. There is a serious stink in Scottish football that needs to be investigated. Come on all you fans out there, let's get digging and get some real provable background on Whyte that confirms her background. A Boot in the Face is a Boot in the Face!